EspressoForge – A manual by hand pour-over espresso coffee press machine. Finding a machine capable of producing true espresso at 8 bar for a low price is a challenge. This was at the heart of why we designed the EspressoForge. But don’t think that because of the low price, shot quality suffers, in fact, the Forge can produce espresso equal to a top end commercial pump machine (or commercial lever) provided you pair it with a quality espresso capable grinder. It’s true that other travel coffee devices can be found cheaper, but most often they sacrifice on the max pressure you can generate, and usually in quality of materials. 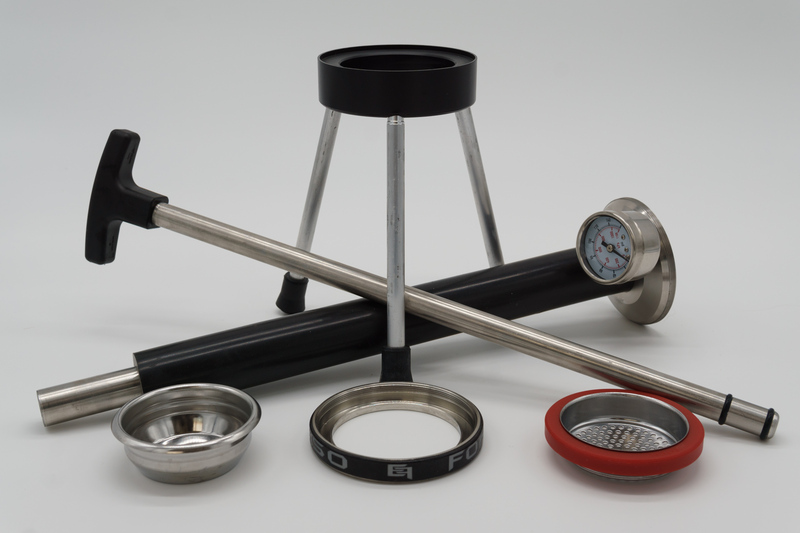 Some like the Aeropress can be a fantastic value, but they cannot produce espresso at such low pressures (1 bar or less in most cases) and they end up being a portable coffee maker that makes more like regular strength coffee. Small-diameter tall cylinder makes this possible. See our specs page for full force table. 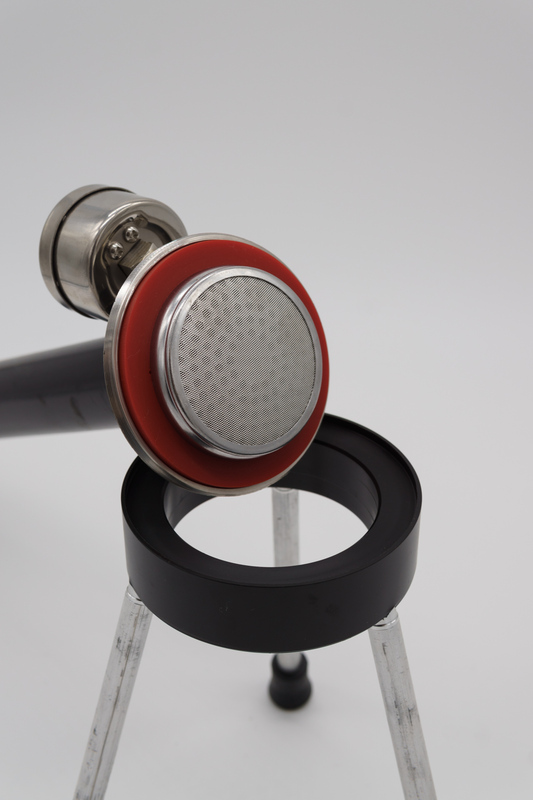 Easy to do with a pressure gauge (1/8″ NPT fitting). Although some other machines may have this ability, without knowing the pressure it makes it very hard to do. Also, because the Forge is filled from the top, a zero or very light pressure pre-infusion is possible, where on some machines a minimum pressure (boiler pressure or line pressure) is fixed. This makes for very unique shots especially with light roasted coffees and tames the natural acidity in them very well. Some machines take several minutes to come down from a high temperature or stabilize after boiler temp is set. 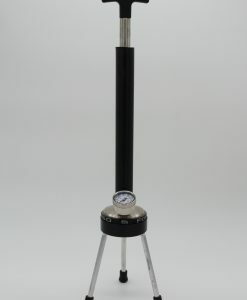 The Forge temp can be steamed in just a couple minutes from cold, or only a few seconds if hot already. We have found in testing that dark roasts require no to minimal pre-heating, and for light roasts the Forge is easily brought to high temperatures by setting it on top of your kettle and allowing the steam to heat. Using a temperature strip allows for a more precise control over shot temperature. Everything comes apart, no complex mechanical or hydraulic systems. Only a pair of rubber O-Rings to replace for maintenance. Many espresso machines need a very specific TDS water to not corrode too much, but also too pure such as RO or distilled water is not recommended. The Forge can use ANY quality water you would want to drink! Keep in mind that for optimum extraction, a low TDS water but not too low is still recommended. However experiment to your heart’s content! 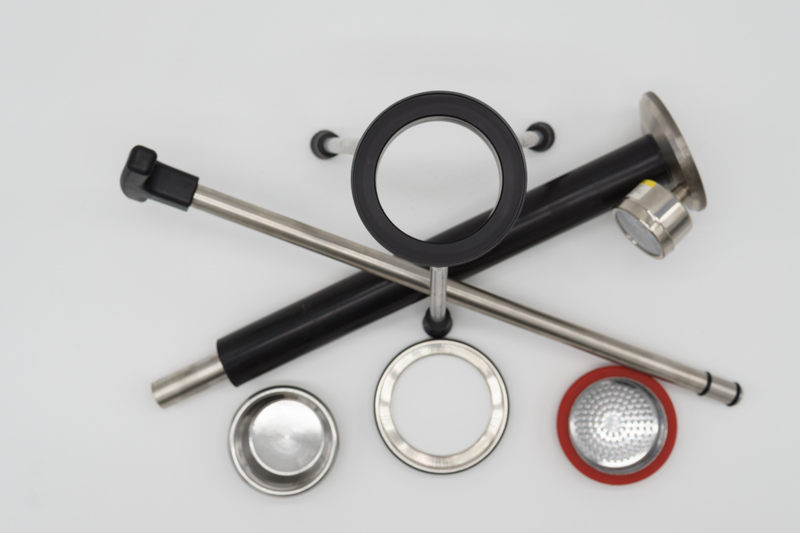 Ability to use any standard 58mm basket or shower screen (IMS precision screen/basket, VST baskets etc). This offers great flexibility not available to many lever machines. Are you the engineer type? 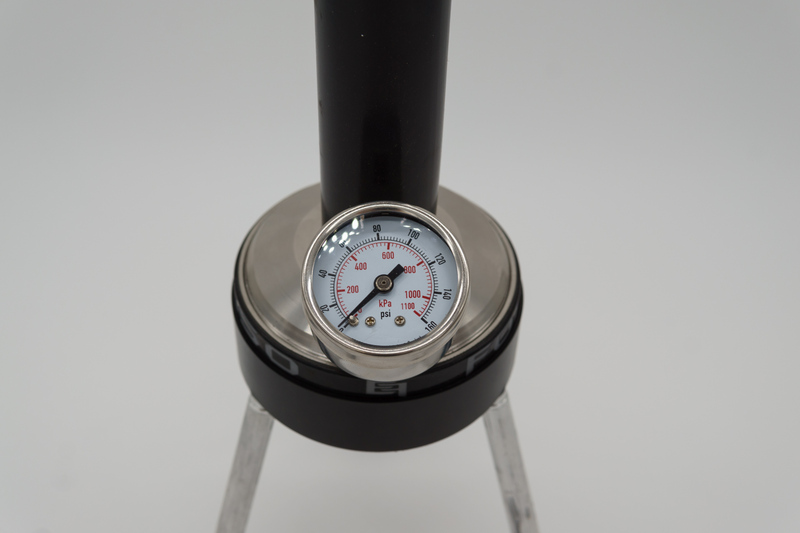 The EspressoForge is great as a platform to add modifications such as a tripod stand, custom handles & grips, pressure gauges. 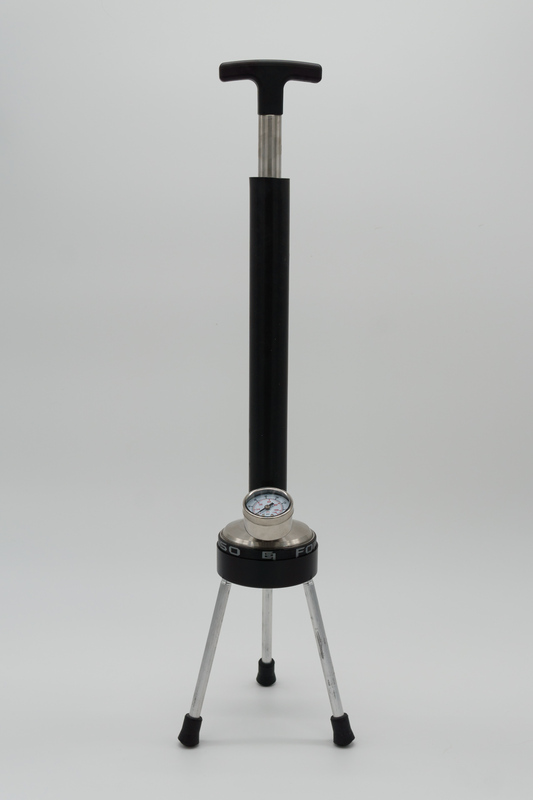 Want to automate or gain more mechanical advantage over the piston? Use a rack/pinion, ratcheting caulking gun, springs. Or drive the device entirely pneumatically without a piston! Limited only by imagination and physics. Under 4m to make a shot from cold – this is based on my routine of boiling 0.5L water in electric kettle, prepping basket, preheating device, lock in, fill up with water and ready to press. 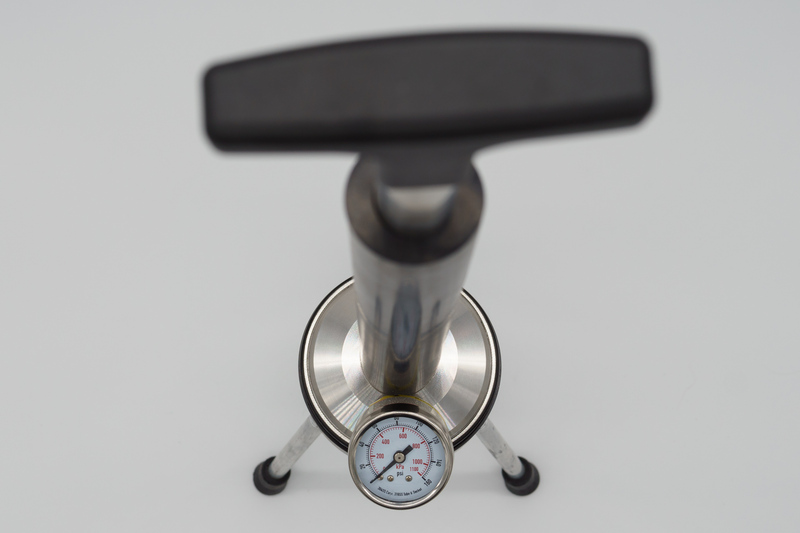 If you’ve used a Cremina or Pavoni, you know this feeling…minor force changes can have an instant impact on flow and pressure. Great for adjusting a shot for a less than ideal grind or distribution. But also very satisfying to use daily. In some lever machines, to avoid air being drawn through the puck and disturbing your perfectly distributed grinds, it’s required to lower (spring lever) or raise (direct lever) just before water enters, and then while holding the lever lock in the portafilter. This isn’t required with the Forge since you can fill the device from the top. Just like every espresso machine, a quality espresso capable grinder is absolutely required! If you sacrifice quality in this area, you will be frustrated in trying to create a great espresso capable of being enjoyed without milk or sugar. Please see our Grinder Suggestions for more info. The EspressoForge is a fully manual device, and although we have engineered it to require a very modest force (as seen on the pros side), it still does require more effort than a super-automatic or a semi-automatic pump machine. We think this manual effort is worth the trade-off for simplicity and longevity of the device. I would compare the effort to grinding 20g of coffee on a medium sized hand-grinder. All levers experience this, but it is worth mentioning for those that aren’t aware. Maximum volume with a single pull is 71 mL (2.4 Fl Oz), however a slightly lower volume shot is to be expected as some water will be absorbed by the coffee puck. For additional volume, partial or full additional pulls can be employed. Some care is needed when pouring into the small diameter pipe. It becomes very easy after some practice. Using a gooseneck kettle also makes this much easier. Although typical for lever machines, it takes about a minute or so to press out the remaining water after completing a shot. You could simply pull out the piston, dump the water, unlock the basket and flush out the wet grounds, but for those that like dry pucks, it will require a bit extra time when comparing to a pump machine. It’s worth noting since steamed milk is a big deal to a lot of people. However, there are a few dedicated stove-top or plug-in devices just for steaming milk that would be a great addition! We recommend looking at a Bellman for steaming. You can also put heated milk into a French Press and churn it up into a good texture. YouTube is a great resource here to see how others are making good quality textured milk without the use of a steam-wand.